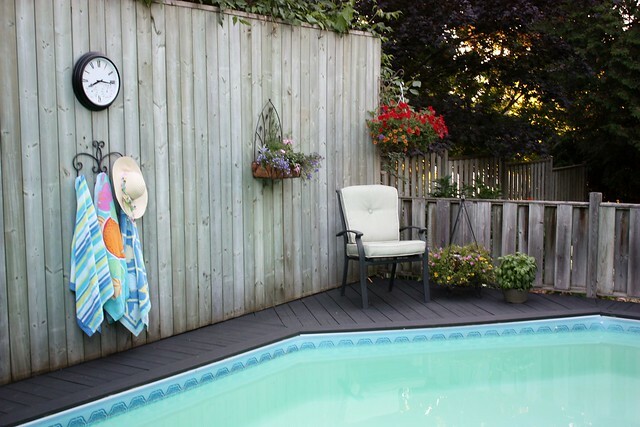 When Behr asked me to be a part of their DIY Expert Team this year, the first project that came to mind was updating the pool area at my parents’ house. When I was younger, it was a hot spot at our house, but over the years it’s started to show it’s age. 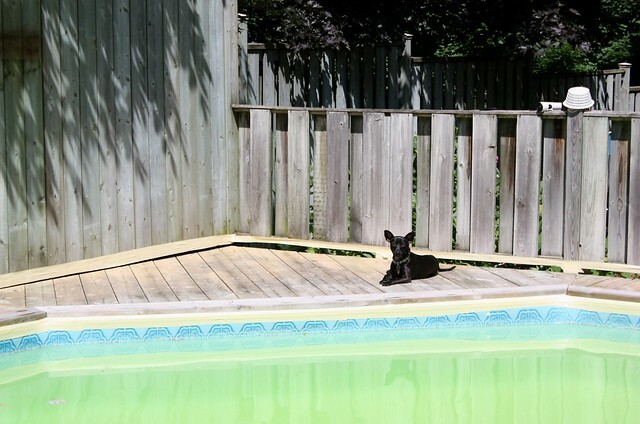 I kept thinking that maybe with a little bit of love (and paint) we could revive our beloved pool and make it more of a quiet haven. That’s when I came across Behr Premium DeckOver, a product formulated to conceal cracks and splinters (which we had a lot of!) 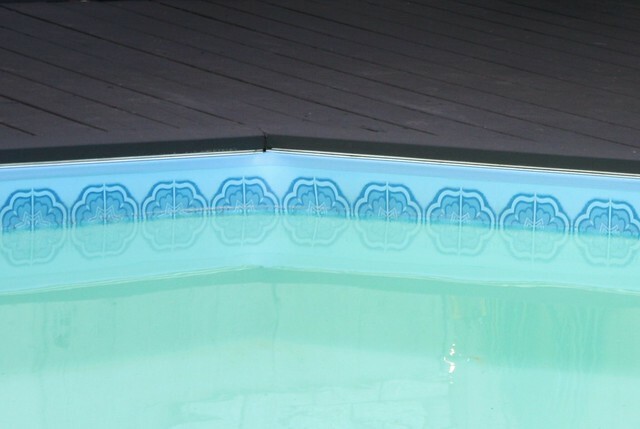 and create a smooth slip-resistant surface which is ideal for a pool area. 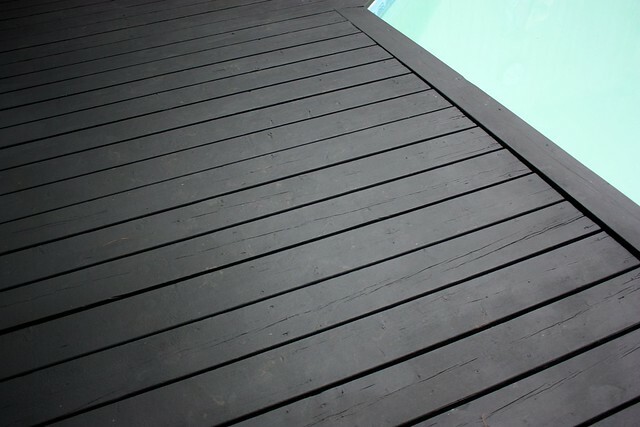 The product works on wood and concrete surfaces making it great for decks, patios and walkways. This was a whole family project with everyone pitching in to help with the prep work, painting and decorating – and now we have a beautiful space again for everyone to enjoy. We were so pleased with the results. We went from having a dull, weathered deck to a fresh surface that not only is safe but feels great under your bare feet. The dark colour even helps the water evaporate on the surface quicker and feels warm even on chilly days. I’m so glad that we were able to transform this space because it really does have some of the best views on the property. When you’re sitting on the deck you can look out over the yard and down the river. 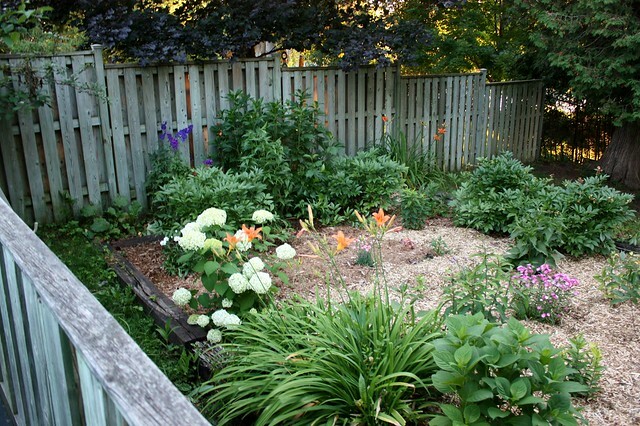 On the other side of the wall is also my mom’s cutting garden she’s been working on for the past few years. She’s slowly building it up with more and more beautiful flowers. 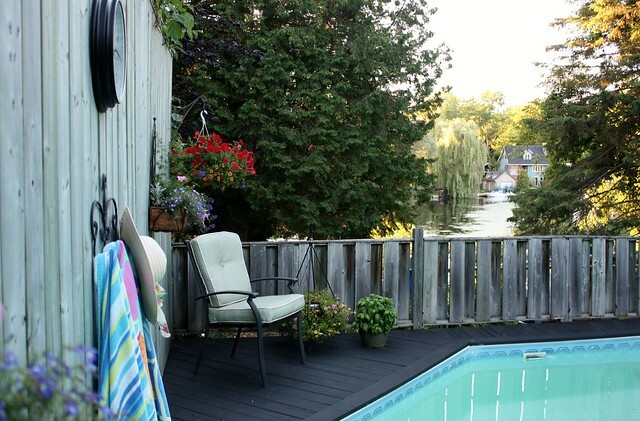 As lovely as the backyard was, we were never spending our time down at the pool because it was rough looking, we don’t swim as often as we all used to and the deck was getting so bad for splinters that you didn’t want to risk walking around it. This pool has moved (and been dismantled/rebuilt) at every house that my parents have lived in for 34 years. 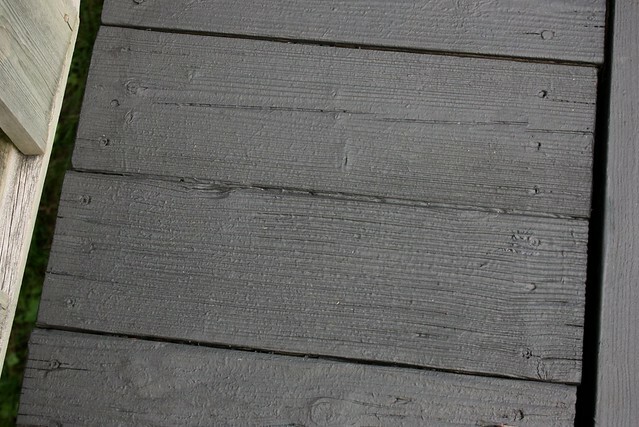 Some of the wood decking is still intact and the “new” part of the deck was about 16-20 years old – meaning this is seriously weathered wood. 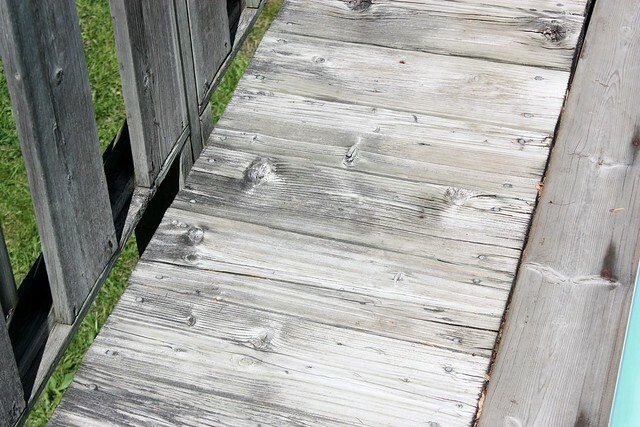 For the most part it had held up well and there was only a few boards that needed to be replaced but the deck had an overall grunge to it. In part from the heavy trees above the privacy fence and also because it had never been stained, painted or treated before, so mildew and debris could easily to get into the wood. We decided to go with Behr Premium DeckOver in Slate, hoping that the dark colour would create contrast for the weathered wood and grey brick of the house. Before we could start painting, we had to do some prep work. From the reviews that I read, properly cleaning and preparing the wood before you apply the product will give you the best results. It gives you a clean surface to work with and allows the product to properly adhere to the wood. 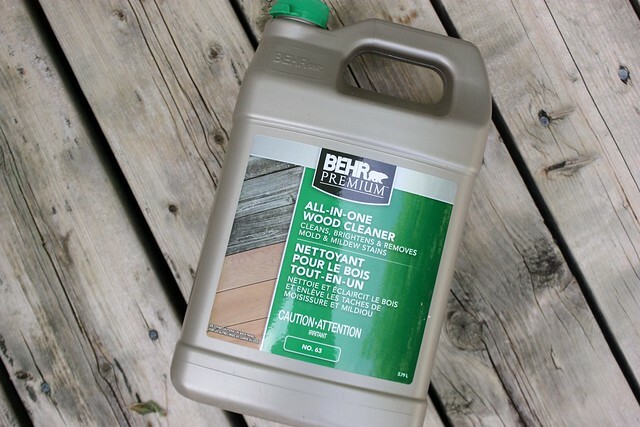 My dad grabbed a jug of Behr Premium All-In-One Wood Cleaner and used this to remove the mildew stains and any dirt or oil on the wood. For the new boards used to replace any of the unstable pieces, the cleaner also helped remove any mill glaze and to open up the pores in the wood. 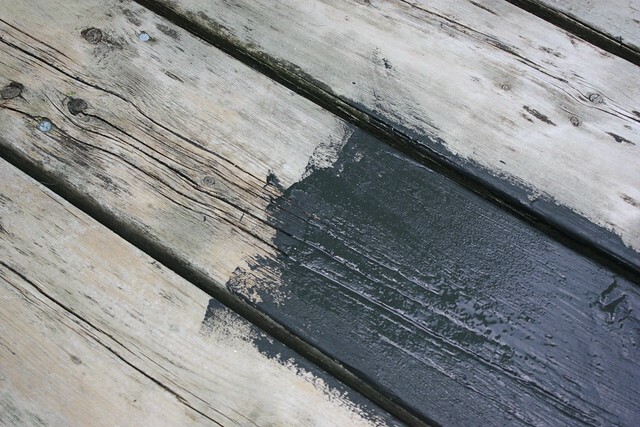 If we were removing a stain or paint before applying DeckOver, it’s recommended that you use Behr Premium Wood Stain & Finish Stripper, followed by the cleaner. What a difference the cleaner made already. 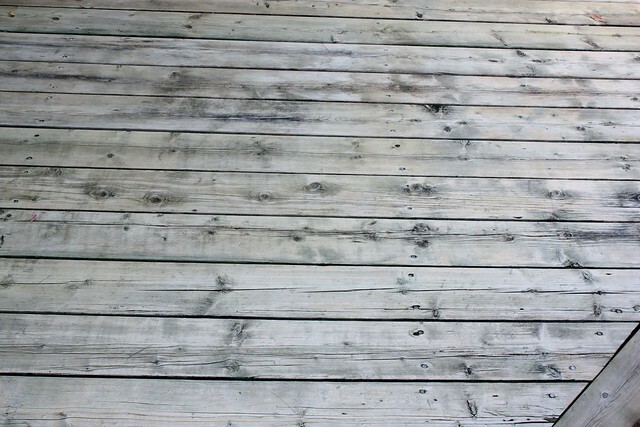 We allowed the deck to dry for a couple of days and then it was time to paint! Once the paint is applied, it cannot get wet for 24 hours so we checked the weather first to make sure we had blue skies ahead all weekend. 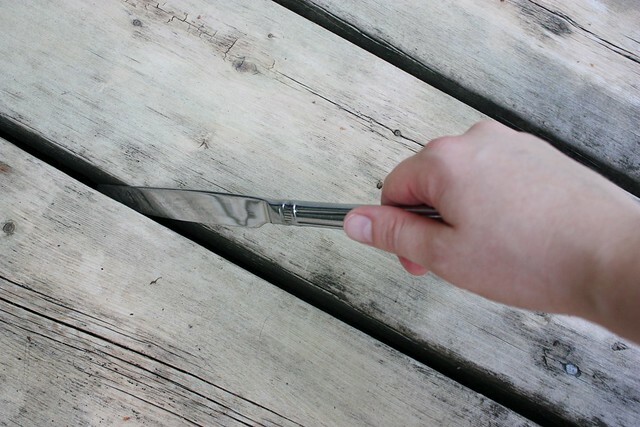 Despite the cleaning, there was still a few pine needles and leaves that had fallen from the trees while the deck was drying, so I used a butter knife (don’t worry mom, it wasn’t the good cutlery!) 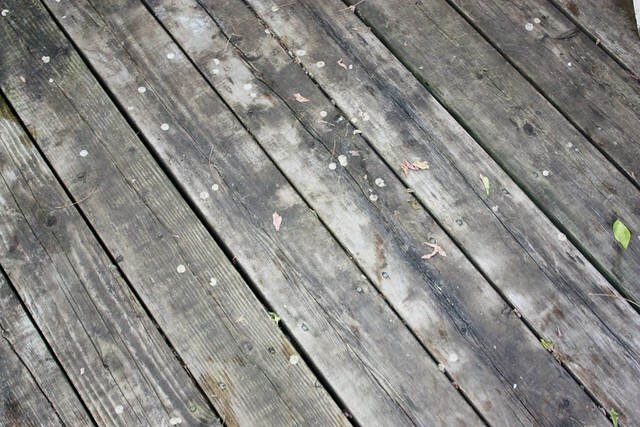 to push anything in the cracks through and then thoroughly swept the whole deck one last time. The paint is thick, so it can pull debris up through the cracks if you don’t make sure to clear it first. 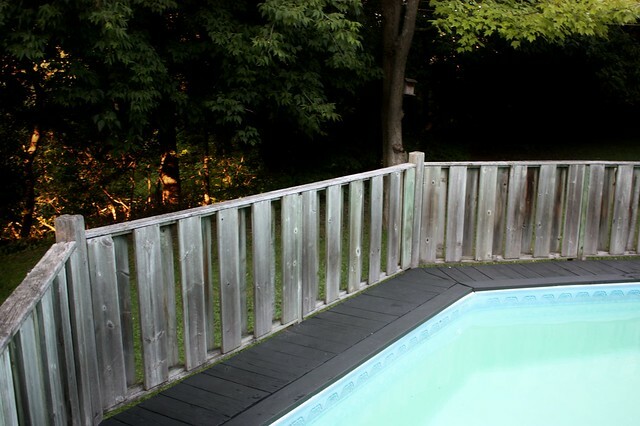 Then it was time to tape off the parts of the deck we didn’t want to paint, like the wall edge, the fence and the edge of the pool liner. Cola was happy to sit out and be our supervisor. He pretty much followed me around the whole time I was cleaning as my little shadow, baking in the sun. 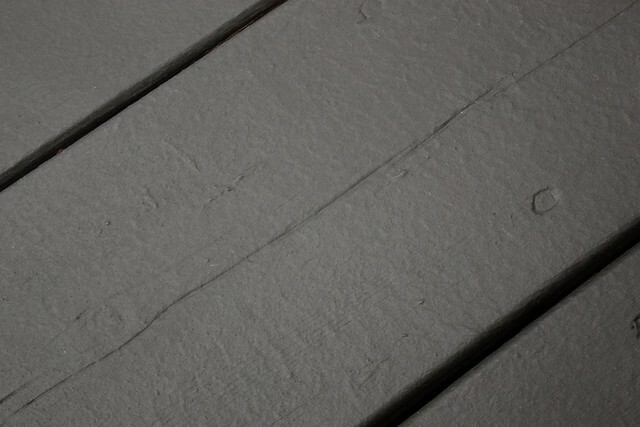 We all kept joking around that once the deck was all painted we wouldn’t be able to find him on the dark paint! My dad used a paint mixer attachment on a power drill to mix up our big five gallon bucket of paint. 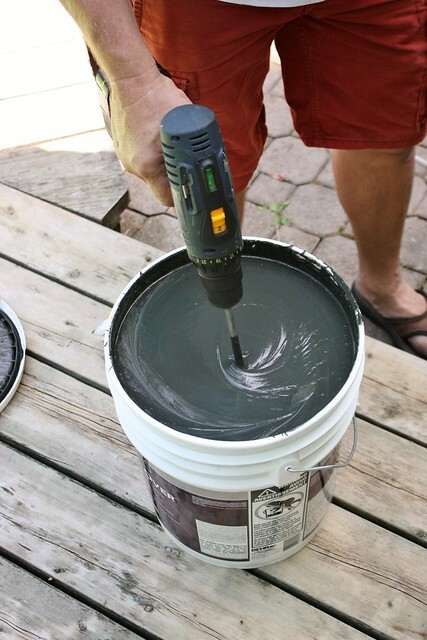 You need to do two coats of the paint, so it is important to make sure you get enough to complete the whole surface. 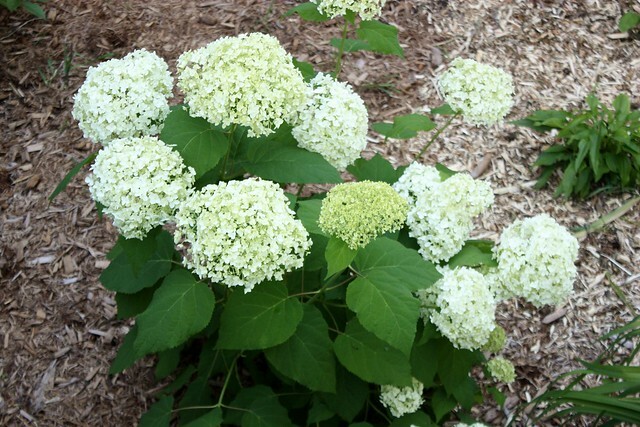 One gallon covers about 75 sq ft. The paint has a very thick viscosity – like pancake batter or thick tar and you can see that this is what makes it so great for filling in cracks and nail holes. As you can see – we had lots of those. The first step was to go around and use a small brush to fill in any of the larger cracks or nail holes. I couldn’t get over how great it was at filling the cracks and making them fit in with the rest of the wood. It’s not just painting it or staining the wood, it’s giving it a thick coating. You can see the different in those big cracks on the left and then the ones that had been filled in on the right – and that’s just on the first coat. We kept going around the pool, with my sister and I filling in the cracks and holes, dad manning the roller brush and mom handling drinks/lunch/dog wrangling. To finish our large deck probably took us about 5 hours with 2-3 of us working at a time, but we were also dealing with an octagon shape (awkward angles to work in!) and lots of time filling in the many cracks in the wood. 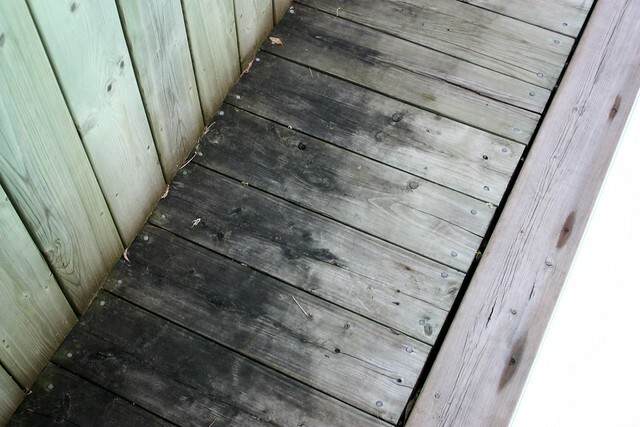 If your deck is in better shape it should take you less time. The paint dried to the touch in 4 hours and was ready for us to apply the second coat in 4-6 hours. After that, you need to wait 24-48 hours before light foot traffic and then 72 hours for it to fully cure. After it was all dry, I couldn’t get over how effective it was at creating a smooth surface. 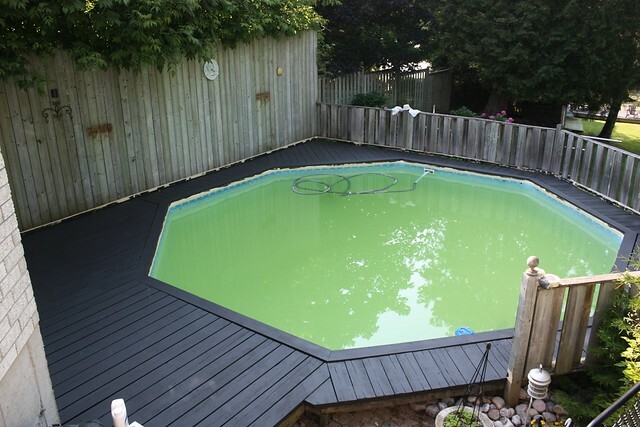 It is actually really nice to walk on, which is great for a pool deck. 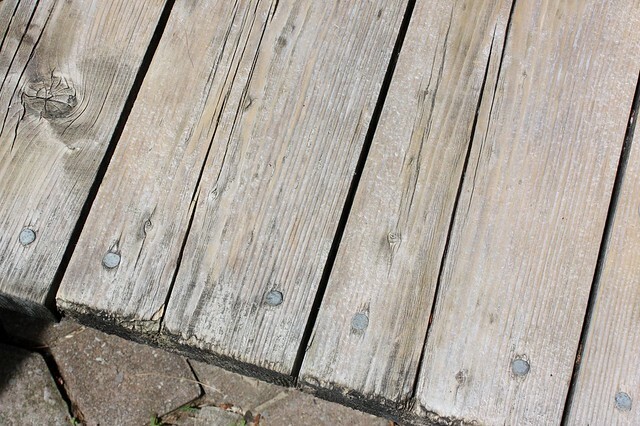 I always dreaded walking on these boards because you’d inevitably get a splinter, but now they are a clean, smooth surface. 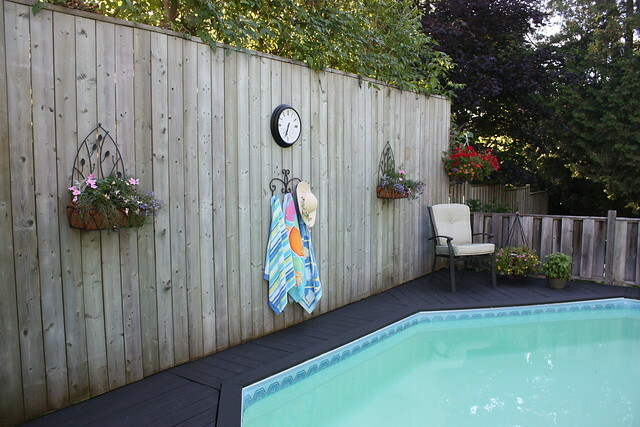 The new deck inspired us to spruce up the rest of the pool area too, with a new clock, fresh plants in the hanging baskets, moving the towel rack and adding some chairs. 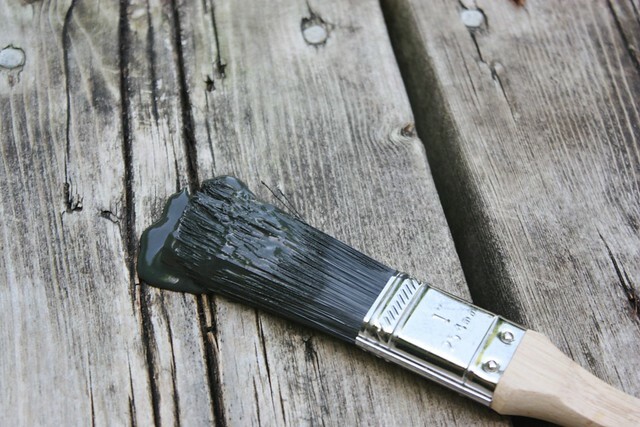 When we first chose a dark colour, it was a little nerve wracking – what if it didn’t look right? But then when we started to apply it you could see that the contrast was going to add so much depth to the space. My parents’ house is light grey and the wood is light grey so everything sort of washed together, but now it looks so good together, with bright green trees in the background. I’m so glad that we took the time to do this project and revive one of our favourite family spaces. 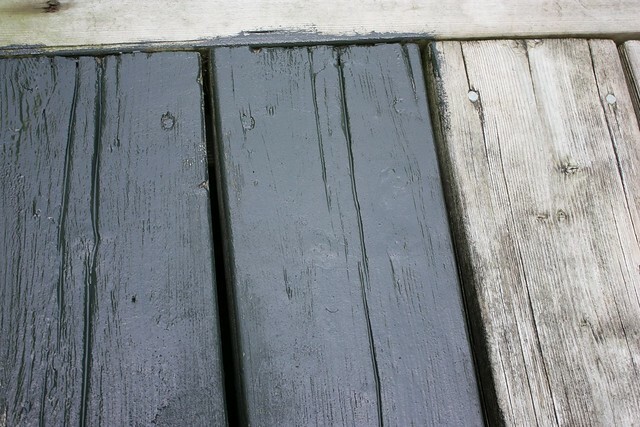 The Behr Premium DeckOver product was just what we needed to revitalize the deck. 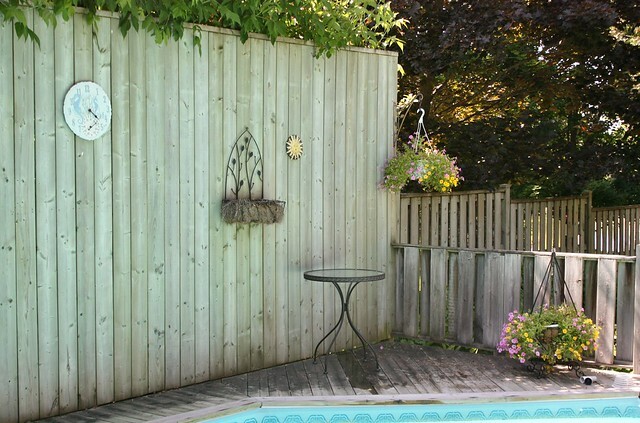 Here’s to bringing back the poolside cocktail hours this summer and inviting our neighbours over! 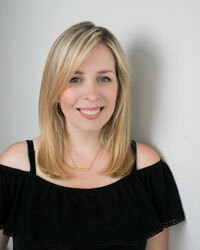 To see more projects created with Behr products, visit the Behr DIY Expert Pinterest board or stop by the Colorfully Behr blog curated by Erika Woelfel, Director of Color at BEHR Paints. 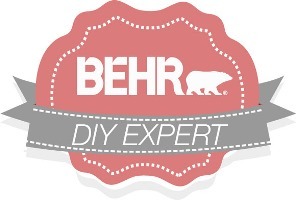 Disclosure: I am a member of the Behr DIY Expert program and was provided Behr paint for this project. All opinions and ideas are 100% my own. 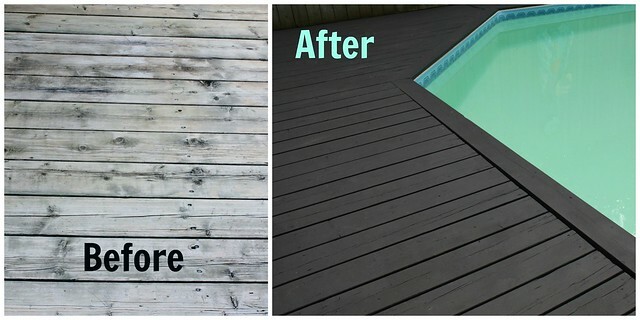 Love the pool and the transformation is terrific! 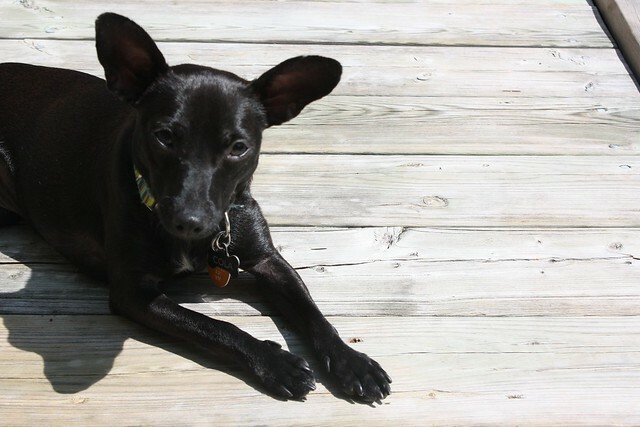 We used Deckover for our back deck and loved it. My husband is a painting contractor and it’s his paint of choice. Amazing what a little paint can do isn’t it? Now get out there and enjoy some sun! There are some great products out there – this turned out amazing. We just spent the 4th of July weekend re-doing our paver deck and while that’s a weekend i’ll never get back – it really is rewarding to be out there now! 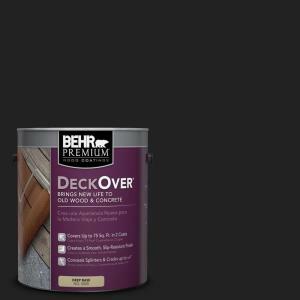 We are just getting to the outside of our new home and the deck is in need of help, after looking at your deck over I’m going to try this Behr paint for decks. It’s been almost a year… how is your Deckover holding up?